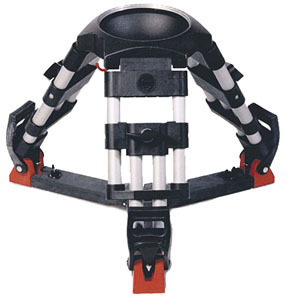 The DA-150 K one stage dural aluminum EFP tripod, with it's maximum height of 16-inch, it offers stability for extremely low shooting positions. And naturally, like all other in its line, it features a 150mm / 6" bowl, tube diameter of 22mm (0.87") and is fitted with the Sachtler rotary clamping system. With a load capacity of 88 lb, provides enough support for today's cameras, which are in demand in the news acquisition field.